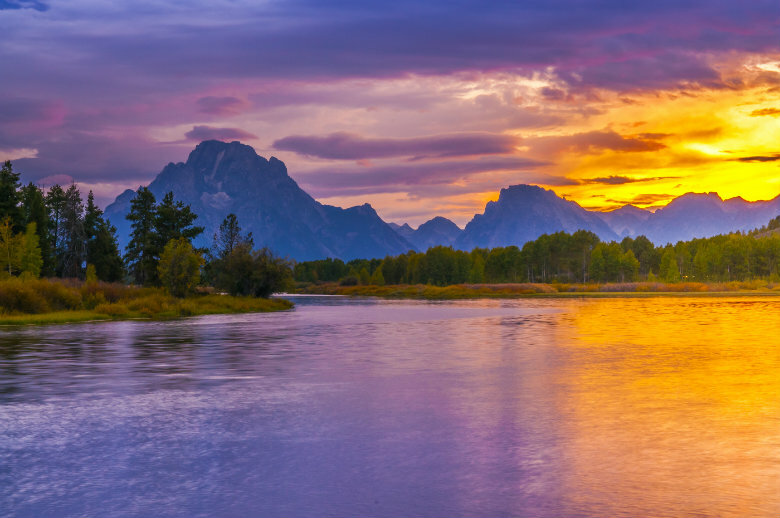 Wyoming is best known for being home to Yellowstone National Park. However, the state offers much more. There are other nature parks, landmarks, and activities to do within driving distance of wherever you may be. Visit Wyoming. Most of the activities for people to do in Wyoming require you to have a car with you. Vehicle transport services could be a viable option for you. By shipping your vehicle, you not only save the hassle of driving hundreds or even thousands of miles, but it also saves you money in the long run. Below, you will find a list of the most popular reasons for using National Dispatch to ship your car to Wyoming. First of all, if you are in the military, thank you for your service. You have just been assigned a new base at F. E. Warren Air Force Base. When you are an active military personnel, moving frequently is expected. This can be stressful. Often times, you are not given much time before you have to be at your new base. Using National Dispatch to ship your vehicle can save you a lot of time and stress. You can hop on a plane knowing that you will be on time and that your car is well taken care of. Read more on military auto transport. If you have chosen to go to college in Wyoming and are not from the area, chances are you will want to have your car with you. Your car provides you with freedom, a way to run errands, and a way to check out the city in which you live. However, driving over state lines can be a scary thing for many people. Consider using National Dispatch to deliver your car to school. Read more on moving a vehicle to college. If you are planning on relocating to Wyoming, chances are you have a lot on your plate. You need to pack, find housing, and relocate yourself along with your belongings. Here at National Dispatch, we specialize in helping you with your transition by transporting your vehicle for you. This takes one less thing off your to-do-list. This allows you to focus on the bigger things. It also saves you from the hassle of driving hundreds or thousands of miles. Read more on moving a car to a new home. Where To Visit In Wyoming? There are a multitude of reasons for needing to ship your car to Wyoming. Once you have arrived at your destination, you may want to check out these fun places. Located in Cody, this home offers a lot to look at. Not only are its surroundings picturesque, but the home itself seems to have random collections of things, such as staircases. The home was owned by Lee Smith who was not mad nor did he build the home as a joke. Instead, he was an engineer who could not stop using his skills. He and his family used to collect logs. Eventually, he just continued to build onto the house. There are many rumors that circle this house about Lee Smith’s ghost, but all in all, this home is fascinating. Located in Lovell, these rock formations are only visible in summer when the snow has melted. These stones are arranged in the shape of a wheel spanning 80 feet across. The wheel has 28 spikes. While this is not the only wheel like it, there are several all over the country. It is certainly something to see. These wheels are known as medicine wheels and have been built by Native Americans over centuries. Bighorn is the most preserved and the most studied. This particular wheel was used to predict astronomical events, such as the position of the sun and calendar dates. This is an interesting place to visit and is very educational. For all you western movie lovers, this is for you. Between the 1860s and the early 1900s this location, in Kaycee, was notorious for being a stop for outlaws. The Hole-in-the-Wall became a famous hideout for outlaws such as Butch Cassidy, the Logan Brothers, and Jesse James. This location is not easily accessible. One must make the steep climb over loose rocks. Once you reach the top, you will have an unobscured view from all directions. Outlaws liked this place, because it was easy to defend. You could see the lawmen coming. In addition, it was secluded, and there were natural resources. Located in Guernsey, Register Cliff was one of the most recognized and visited locations on the Oregon Trail. Although the stone is now protected by a fence, in the 1800s, people used to carve their names into the stone like an eternal guestbook. They did this so that their friends and family could look for their names and know that they had made it at least that far on their journey. They did not have many forms of long distance communication, so name rocks were crucial. This trail had a high death toll back in the day. If you have any family lines to the American West movement, see if you can spot their names on this rock. Located at Yellowstone National Park, this pool is a beautiful geyser that is named after the morning glory flower. The pool is known for its vibrant blue color that is created by thermophilic bacteria, which thrive in searing heat. However, due to visitors throwing coins and trash into the pool for over a century, the pool has begun to fade in color. The trash has built up and blocked some thermal vents causing the water to not be as hot. This has allowed other bacteria to grow and change the outer edges into a red and yellow color. While still beautiful, the change in color shows how humans can alter the organic beauty of nature when we do not properly care for it. While in Yellowstone, be sure to check out some other magnificent landmarks such as Old Faithful, the Grand Prismatic Spring, and Isa Lake! If you are in need of vehicle transport services to move to or visit Wyoming, contact National Dispatch. We transport all types of vehicles, including classic, sport, exotic, and luxury models. Our vehicle transport services are catered specifically to meet your needs, timeline, and budget. Request a free, instant car shipping quote on our website using our online quote calculator. No personal information is required. If you prefer to speak with an auto transport representative, call us at 800-321-2051.